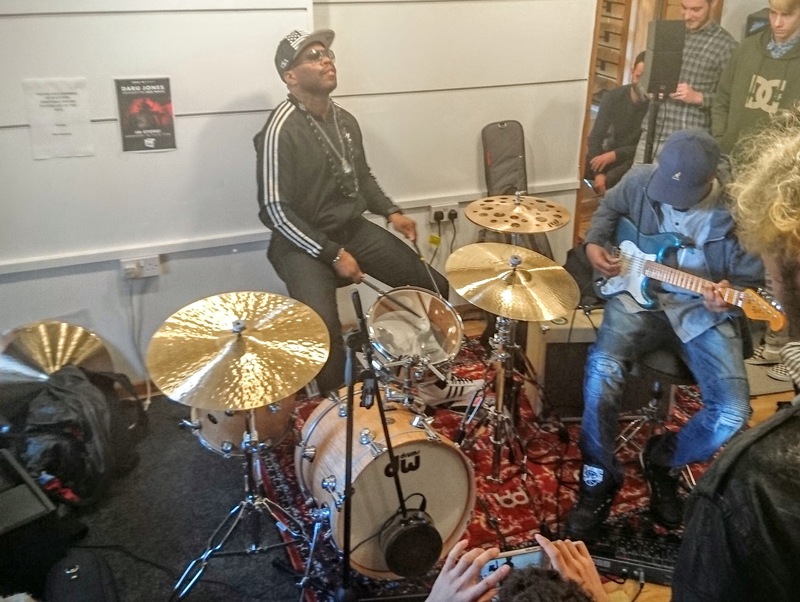 On 26th October drummer Daru Jones (Jack White, Slum Village, Talib Kweli, Black Milk, Dwight Yoakam, Jamie Lidell, Salaam Remi, Gloria Gaynor) made a special appearance at Guitar, Amp & Keyboard Centre in Brighton to promote his Signature Edition LoFReQ mic. In town for the Building A Beginning tour with Jamie Lidell, a packed room of fellow drummers were treated to Daru - accompanied by guitarist Marcus Machado - showing just why he has become the “go-to-drummer” in the hip hop game for over a decade. Daru answered questions about his unique drumkit layout and explained how the LoFReQ allows him to get that extra rounded-out bass on his Kick Drum. After posing for selfies for anyome that asked, and signing Drum Heads and even some Sticks, it was off to the Concorde 2 for Sound Check - thanks Daru!